One of the biggest fan moments that was talked about at this year’s San Diego Comic-Con was Marvel’s reveal of the second AVENGERS movie title, which also revealed the film’s villain. That reveal came in the form of a teaser trailer, which up until now was not seen outside of the convention, just heavily talked about… until now. You can check it out below in HD, complete with the audio of the audience going nuts – remember, this is just a teaser, they haven’t shot a single frame of film for it yet… it amazes me how people can get disappointed when watching a teaser trailer just because there’s no actual footage in it. THE AVENGERS: AGE OF ULTRON will feature James Spader in the role of Ultron, plus newcomer Aaron Taylor Johnson as Quicksilver, and potentially (it’s been rumored) Elizabeth Olsen as Scarlet Witch. We’ll also (of course) see the return of the regular hero cast, including Robert Downey Jr. as Iron Man, Chris Evans as Captain America, Chris Hemsworth as Thor, Samuel L. Jackson as Nick Fury, Scarlett Johansson as Black Widow, Jeremy Renner as Hawkeye, Mark Ruffalo as Hulk, and Cobie Smulders as Agent Maria Hill. SlashFilm also noticed the following plot synopsis was uploaded to IMDB for the film, though they say Disney claims it’s not official. So could this be the basic story? Seems legit enough. 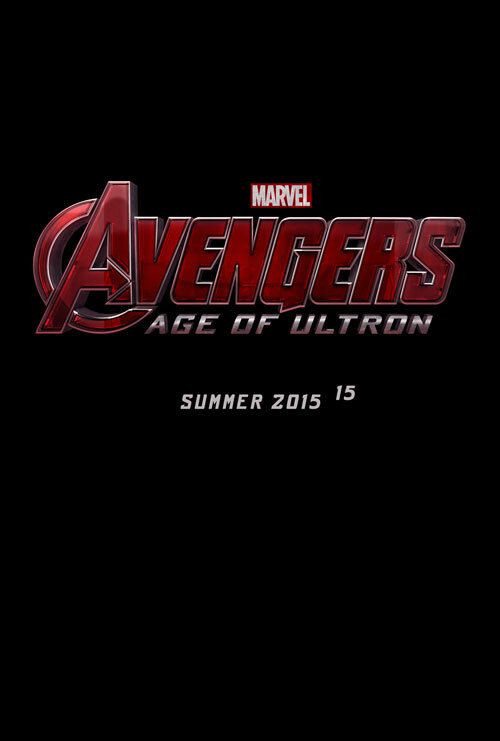 As the US Government create a force, known as Ultron, The Avengers are told they are not needed any longer. But when Ultron turns against Humanity, it’s time for The Avengers to assemble yet again for their most dangerous challenge ever. We’ve got a bit of time until we find out, and there’s still plenty of info to be revealed… like two years. Before that we’ll see THOR: THE DARK WORLD (this November), CAPTAIN AMERICA: THE WINTER SOLDIER, and GUARDIANS OF THE GALAXY. Are you ridiculously excited about the next AVENGERS movie? Tell us in the comments.